Having your bike stolen can be a stressful and infuriating experience. There is nothing worse than spending your hard-earned money on something you care for dearly and having it suddenly taken away from you. However, not all is lost when your expensive bike is gone. There are a few steps you can take to increase your chances of getting it back and catching the perpetrator. Try these steps before deciding to spend hundreds of dollars on a replacement. What Happens to Stolen Bikes and Where Do They Go? First, familiarize yourself with the thief’s mentality. Understanding what goes through a robber’s head can help you determine where to begin your search. Bike thieves can be anyone from a homeless person needing money, to a professional bike thief that makes a living from stealing bikes (yes, they exist). All in all, bike thieves are looking for one thing, and one thing only – money. Stolen bicycles will almost always end up on the market for sale. Whether that’s online, the street, or in a flea market, it doesn’t matter as long as they can sell it for a fraction of what you paid. Where your stolen bike goes depends on who steals it. For the most part, stolen bikes will end up for sale on the internet or the street. Amateur bike thieves who are just looking for a quick buck will cut the chain off your bike and sell them on the street. This allows them to sell them very cheaply and make money off it fast. Moreover, it takes them quickly out of their hands so they don’t risk getting caught by the police. 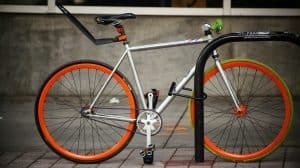 More experienced bike thieves will be looking for the brand-name, expensive bicycles, and are looking to make a large margin from it. The best way to sell these types of bicycles and make a good profit is online. You will see these stolen bikes on sites such as eBay, Amazon, etc. Most likely, professional thieves will be attempting to sell these bicycles in a different city from where they were acquired. Once purchased, they end up in the hands of an innocent buyer who thinks they bought the bike legally. 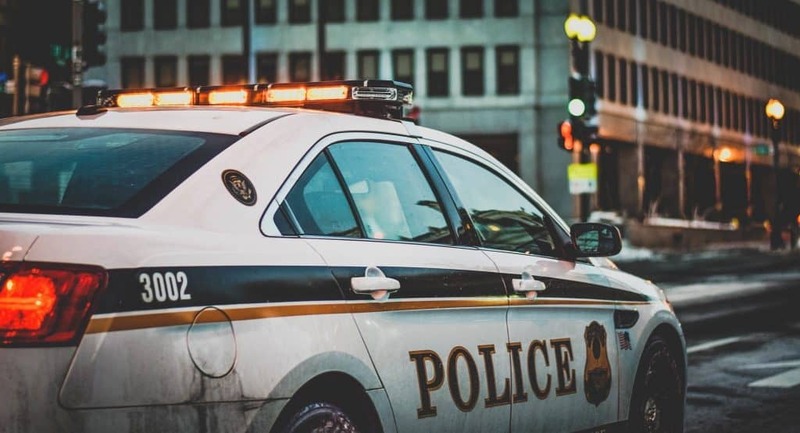 Filing a police report will generate an incident number with your local police department. This report allows police to contact you in the case that the stolen bike surfaces. Filing a police report as soon as your bike gets stolen is highly recommended to give you the best chances of recovering it. Don’t want to involve the cops? Not filing a police report will only make it harder (or impossible) for them to reach you. If they find a stolen bike and cannot get a hold of the rightful owner, police may sell it at auction. Moreover, if you have insurance, most insurance companies will require an incident number to process your claim. 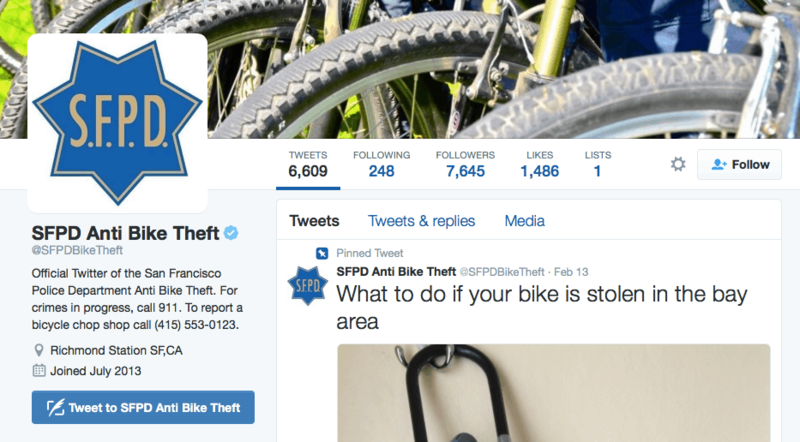 If you live in the San Francisco area, the San Francisco Police Department has an official Twitter account for anti-bike theft. This account is a handy tool for getting live updates of stolen bikes, and to post your stolen bike on social media. They also publish useful articles to help victims track down their stolen bikes. 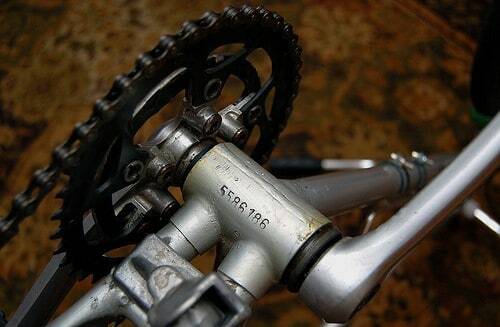 The account is also useful for posting time-stamped, public evidence that the bicycle belongs to you. If the stolen bike is found, police can easily prove that the bike is yours and charge the perpetrator accordingly. Lastly, by making a post on the SFPD Anti Bike Theft Twitter page, you will recruit the help of over 7,000 twitter followers to track down your stolen bike. Read more about this useful service here. 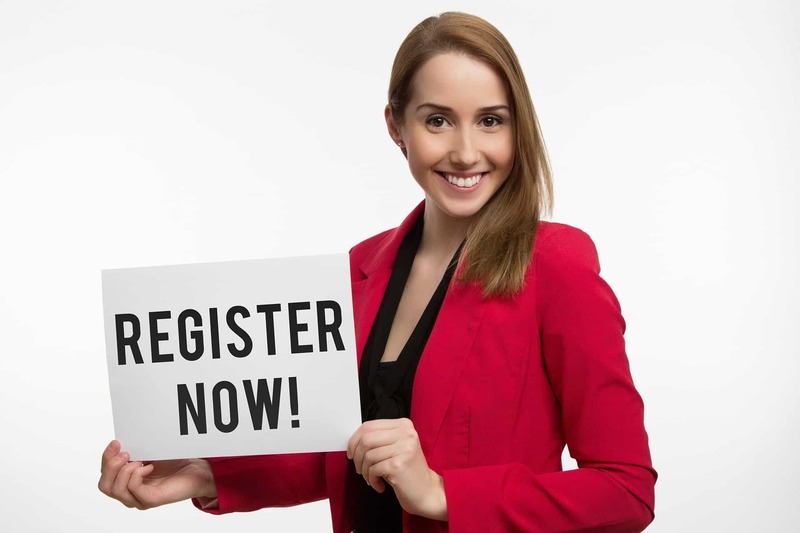 Register your bike with a local bicycle registry. These sites help victims of bike theft by keeping a record of all lost or stolen bikes in your area. They work with the police department, media, and local citizens to help find thieves, and retrieve stolen bikes. Having your bike registered will make it harder for thieves to sell your bike online or in flea markets. This free service also makes it possible for people to find and contact stolen bike owners. Many amateur bike thieves will turn to Craigslist, flea markets, or pawnshops for a quick buck. Put yourself in the shoes of someone looking for a new bike, and do some scouting of your own. Walk to your local flea market, and visit your nearby pawnshop regularly. Act as if you’re a regular customer looking for a new bike. If you spot it, don’t freak out. Inspect the bike to make sure it is yours, and check the serial number if possible. Once you are 100% that it is your stolen bike, take a mental picture of the seller, walk away, and call the police. A lot of stolen goods will make their way into the internet at some point. Set up a search on Craigslist on bicycles for sale and track any new posts. Don’t refine your search too much – keep it general and scroll through the postings on a daily basis. If you find one that resembles your stolen bike, take down the information including the posts’ link, and contact the police. E-Bay is another platform where bike thieves can attempt to sell your bike. Set up a simple search on bicycles for sale, and scroll through the latest posts. Keep the search simple. Don’t add too many filters or you might risk missing your bike. Some of the smarter thieves will keep the post vague to avoid baits from the original owner or the police. Instead, scroll through all the new posts on a daily basis, keeping an eye open for a bike that resembles yours. You can also set up eBay alerts by creating a saved search on the make and model of your bicycle. Create more than one search with different search terms to ensure you capture all possible results. 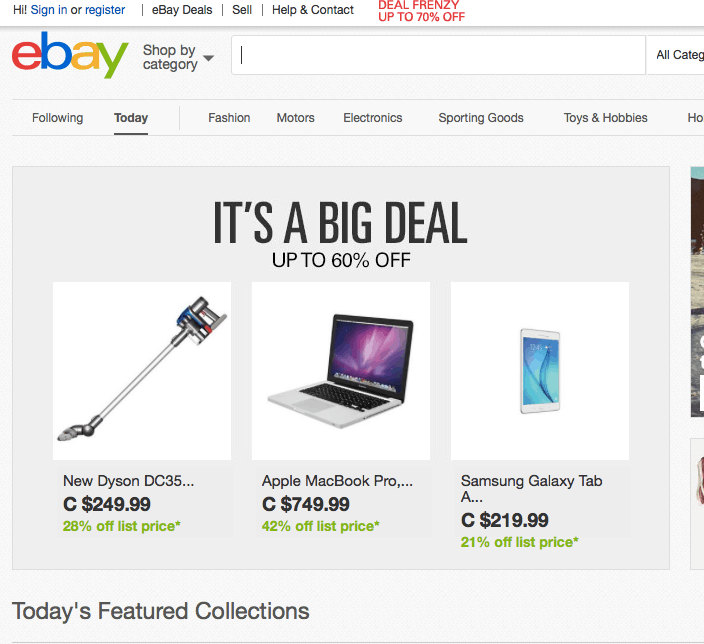 eBay will send you automatic daily emails on any new bike post that matches your saved search. If you find your bike on eBay, take down the information as well as the posts’ link, and notify police immediately. Don’t attempt to contact the seller or track down the bike on your own. Get the word out about your stolen bike. Share the news, pictures, and any relevant information in every one of your social media accounts including Facebook, Twitter, and Instagram. Use appropriate hashtags such as #lostbike, #stolenbike, #lostandfoundbikes, #stolenbycicle, #foundbike, to help people find your post. Look for groups and pages on Facebook that are relevant to stolen bicycles. Join the groups, like the pages, and create a post on every one of them. Provide your contact information, as well as the police’s contact information in your post. If you are reluctant to post your personal phone number online, create an e-mail account specifically for correspondences regarding your stolen bike (for example, petersstolenbike@gmail.com). The more people that know about your bike, and how to contact you if found, the better. 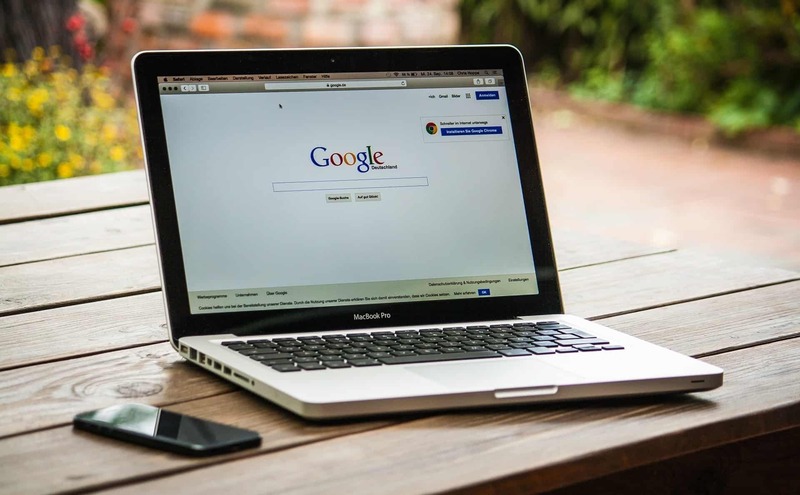 Google Alerts are usually used by individuals to keep track of who’s talking about them, their products, or their websites. However, it is a handy tool to track who’s talking about, or trying to sell, your stolen bike. Sign into your Google account. However, you don’t need one to create a Google alert. Enter your search terms (bike/bicycle, for sale, color, etc.). Leave preferences as “Automatic,” which will catch anything posted in the news, blogs, or the web. 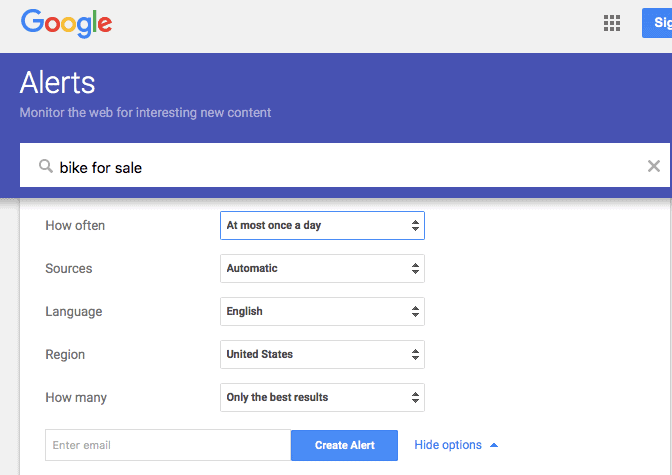 For best results, create several Google alerts with different search terms. If you purchased insurance for your bike, now is the time to let your insurance company know that it is missing. Each insurance company will have their process for submitting claims. Give them a call and follow their instructions to start one. Provide them will all relevant information including a description of the bike, the serial number, the incident number from the police report, and details about when and where it got stolen. 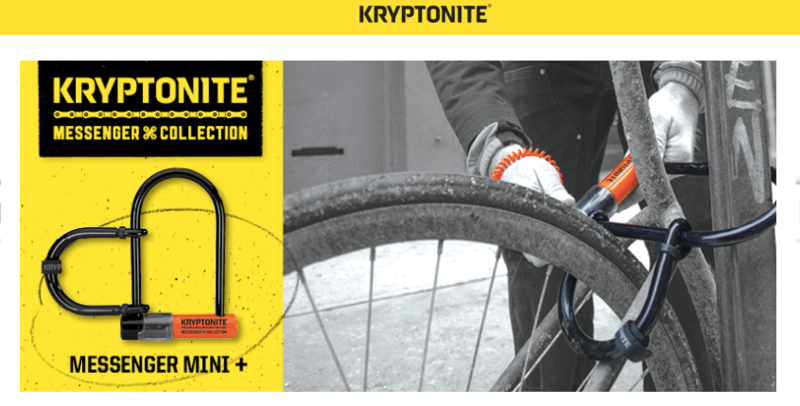 A Kryptonite Lock is an award-winning security system for bikes and sporting products. 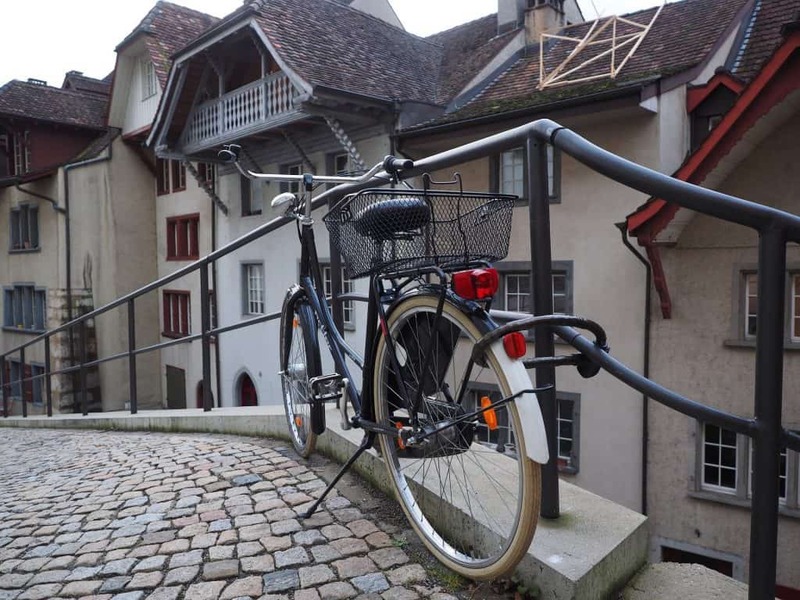 They claim to provide ultimate protection for your bicycles, making them nearly impossible to steal. If you own a Kryptonite Lock, you have the option of registering with their Anti-Theft Protection Offer (ATPO). If your bike gets stolen by breaking the Kryptonite Lock, and you enrolled in their ATPO program, you may be eligible to receive compensation for the bicycle. Check out Kryptonite Lock to learn more about this program. Here are some best U-Locks for your bikes and here you will get the best chain locks for your bicycle. Although most stolen bikes don’t make it back home, many of them do. Don’t lose hope and continue monitoring every buy/sell platform as well as flea markets and pawn shops. 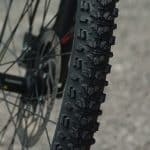 As mentioned before, many stolen bikes get taken with the purpose of making a quick buck, so they should appear online at some point or another. Follow up with the police department regularly, and re-post on social media after a while. Lastly, keep an eye out for your bike on the street. If someone stole it for the purpose of using it (as opposed to selling it) the chances are that the person will be riding it around town. Don’t despair – there’s always hope!